Ultra Male, jclausius, Vasudev and 1 other person like this. Aroc, Papusan, Vasudev and 1 other person like this. Even now you're still in the Matrix with almost 100x internet and processing speeds. 56Kbps is the speed I get once I exhaust my data limit. Anyone have a pair of phone lines and use the old "shotgun" approach with a Diamond modem? I had a friend who did that. He was getting 112K! Woodking and Vasudev like this. "Microsoft starting last-minute push to get Windows users to upgrade to IE1"
- IE10 will soon exit support, leaving many Windows users without any security or non-security updates, free or paid assisted support options, or online technical content. "Wow, fancy that. Web ad giant Google to block ad-blockers in Chrome. 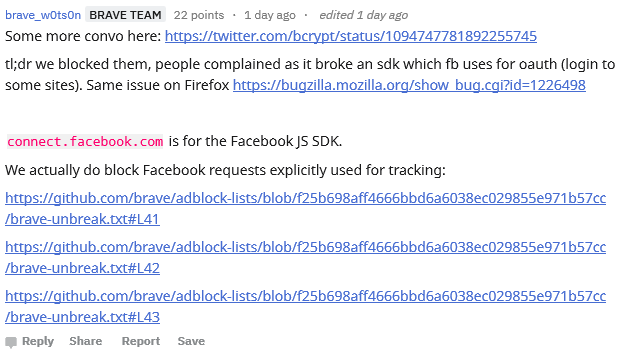 For safety, apparently"
- Google engineers have proposed changes to the open-source Chromium browser that will break content-blocking extensions, including ad blockers. - The drafted changes will limit the capabilities available to extension developers, ostensibly for the sake of speed and safety. - Raymond Hill, the developer behind uBlock Origin and uMatrix, said the changes contemplated by the Manifest v3 proposal will ruin his ad and content blocking extensions, and take control of content away from users. Riley Martin, t456, Bobbert9 and 2 others like this. Yeah. This is why I'm glad I've moved back to Firefox. Google will lose users to this but it won't matter to them. IE 11? Hmmm. Let's see, I haven't used IE since version . . . . . . one?? I think I even paid for Netscape before evil Microsoft started giving their browser away for free lol. Riley Martin, Ultra Male, Vasudev and 2 others like this. Hi, for those who used google chrome and firefox. What extension do you normally add that you think is a must? uBO,HTTPS everywhere,BD Traffic Light, Cookie Autodelete,Auto tab discord, Google shortcuts,Side view and Google translator for firefox. NIGHTMARE, Riley Martin, hmscott and 1 other person like this. Riley Martin, hmscott and 0lok like this.